Do You know how to run more than one whtsa[pp in one android phone, many have been wondering how possible it is. 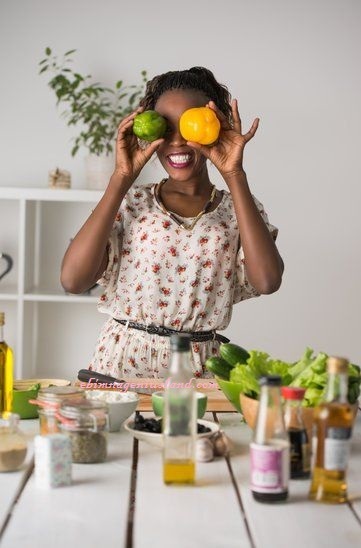 The technology we know yesterday is no longer the technology we know today because things are changing every day and technology grows daily, all you need to do is to adopt the new methods of things you see around you. HAve you wondered why you see some people have more than one facebook account, more than one twitter account? it's still the same thing for WhatsApp account, all you need to do is to follow our steps and enjoy the use of two WhatsApp application on your phone. Some post I read online said that you need to root your phone, but it's not a must that your android phone must be rooted before you use two WhatsApp account on your android phone, because a lot of people don't know what it means to root phones, or to use rooted phones, some don't even how to view if their Android phone is rooted, so don't bother yourself about rooting your android phone. In this tutorial am here to teach you how you can install two WhatsApp applications on your android phone. Although there are so many methods online which you can use to run two WhatsApp account in one Android smartphone, this our method is the fastest and easiest method to install two WhatsApp application in one android phone. 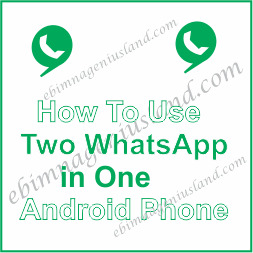 Now let's begin with the fastest method on how to use two WhatsApp on one phone. Step 2- Download.Apk file setup from above link and placed on Your Android phone, Then Install this Dual Whatsapp Application on your Android Smartphone. Step 3- Follow this link to activate your WhatsApp number on your mobile phone here. Step 4- Enter the Second Number i.e a new mobile number which we are using in our dual SIM android phone or any other contact Which we want to use for the second Dual WhatsApp Accounts. Step 5- Verify the new Mobile number After verification, Your Whatsapp is starting as Normal Whatsapp. Now enjoy two WhatsApp on one android phone. This actually worked out, am impressed. But please can I use two WhatsApp like Yowhat and Gbwhat in the same android phone? Yes You Can, but you must have the download links for the both, and then follow this same step for installation.